The local dailies take it to the street today in their coverage of a proposed new “cycle track” on Commonwealth Avenue in Brighton. That’s excellent news according to this Boston Globe Metro piece. 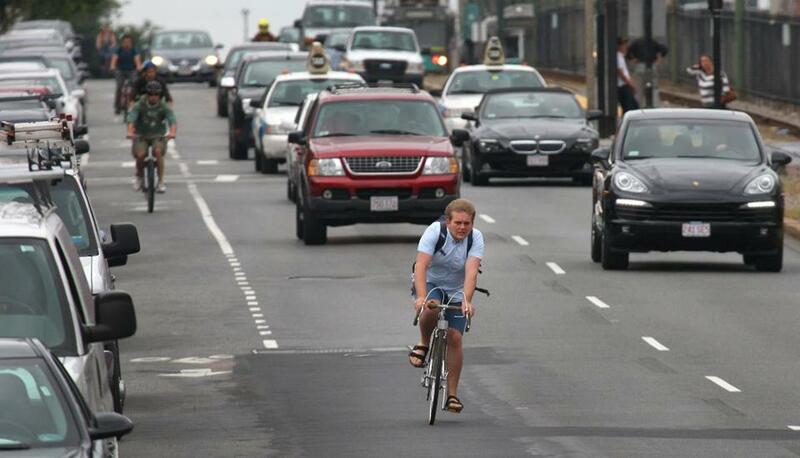 The city of Boston will install protected bike lanes on a stretch of Commonwealth Avenue, a victory for biking advocates who have pushed for the city to make it safer to cycle down the bustling thoroughfare. City officials announced on Tuesday their plans to replace existing bike lanes with protected bike lanes — known as cycle tracks — from the Boston University Bridge to Packard’s Corner. The lanes will be about two-thirds of a mile and use parked cars as a barrier between cyclists and vehicle traffic, a move meant to cut down on accidents that have become common along the heavily used road. 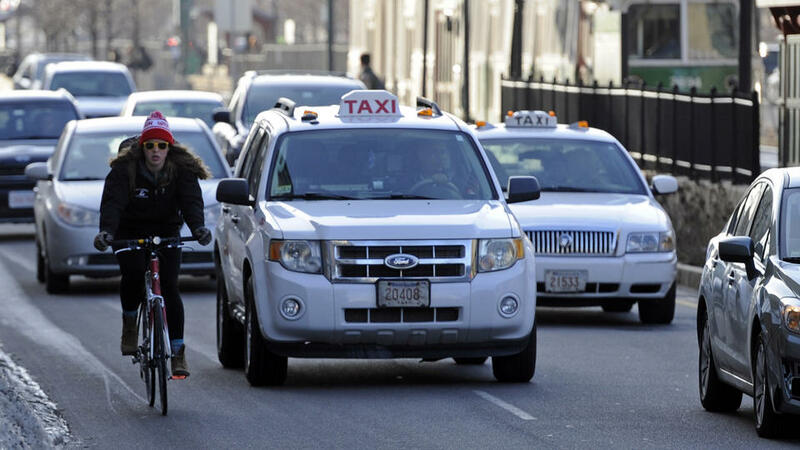 The decision to install the protected bike lanes represents a turnaround for the administration of Mayor Martin J. Walsh, and could pave the way for more protected bike lanes in the city. Surprisingly, Nicole Dungca’s piece has nary a discouraging word about the impact of the new streetscape on drivers or local merchants. At-large City Councilor Michael Flaherty, irate over what he called an “outrageous” plan to eliminate 73 parking spaces, plus an outbound traffic lane, to make way for a special “cycle track” for bike riders on a stretch of Commonwealth Avenue in Brighton, said he plans to grill the city transportation officials who proposed it. According to Herald columnist Howie Carrtoon, all of them: “They’re going to advance west, in search of new territory to annex, first in the direction of Harvard Street and on up Brighton Ave. It’ll be great for all those little barrooms and bodegas, once nobody can park within three blocks of them.” Yeah, Howie’s always looking after the little guys so they have enough dough to buy his cut ‘n’ paste books. So, to recap: The Globe piece mentions nothing about lost parking spots and opposition to the plan. The Herald piece mentions little else. But that doesn’t mean the Boston Globe’s reporting should be. This entry was posted on Wednesday, March 25th, 2015 at 12:56 pm and is filed under Uncategorized. You can follow any responses to this entry through the RSS 2.0 feed. You can leave a response, or trackback from your own site.